Check out this opportunity to showcase your talent! 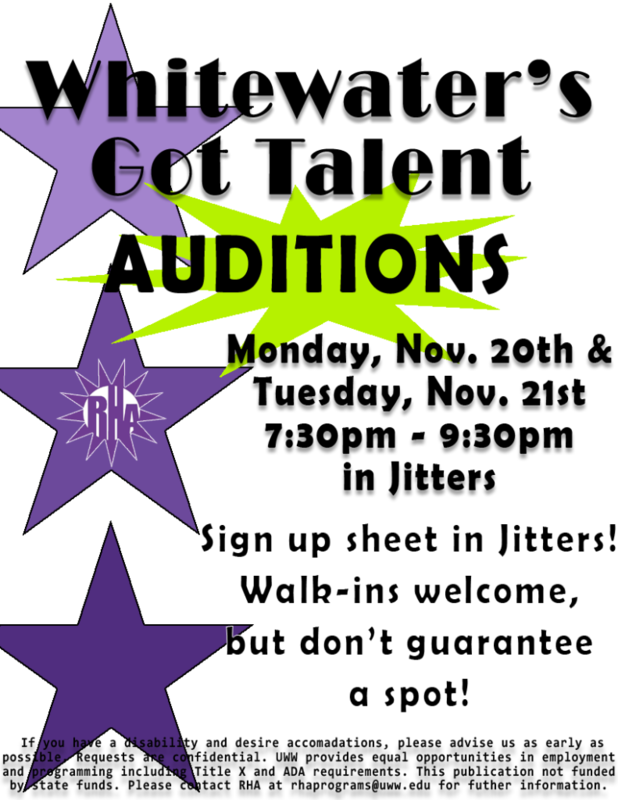 RHA is holding auditions for Whitewater’s Got Talent on Monday, November 20th and Tuesday, November 21st from 7:30pm – 9:30pm in Jitters! All acts looking to compete must sign up on the sheet outside of Jitters. Students can go any time to sign up, it doesn’t have to be during open hours. Make sure to sign up soon, we will take down the sheet on Friday, November 17th. See you at auditions!